My letters to you, my darling Noah, will be maps, in which I hope I can be found. Yelena, a brilliant but flawed Ukrainian ballerina, comes to the UK to fulfil her dreams and dance in one of ballet's most prestigious roles: Giselle. While researching content for his new book, Yelena meets Noah, and here begins a journey of discovery. Life takes an unexpected turn, and the two write letters in which they try to provide a blueprint of their lives and find their way back to each other. But during this process, Yelena visits the darkest corners of her life and, before she knows it, her past begins to catch up with her in ways she can't control. 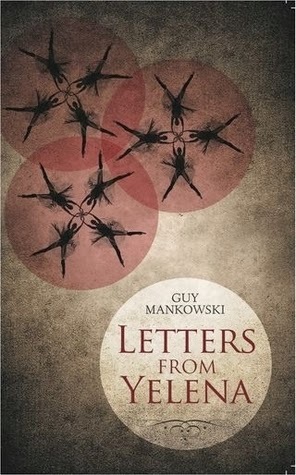 Letters From Yelena is an interesting read - a book that should work but doesn't quite. I liked the concept and there were moments I really enjoyed, but overall I found I couldn't completely relate to Yelena. At times her story seemed too extreme to be believable and that yanked me out of the moment. I also would have liked more from the prose, which often felt repetitive - as if I'd read the page before. In conclusion, if you are keen on novels set in the world of dance with a slight Black Swan twist, then you might want to give this book a try. I'm glad I did read it and I enjoyed it to an extent, but it would not make my reread list.